Join me this summer in Santa Fe! 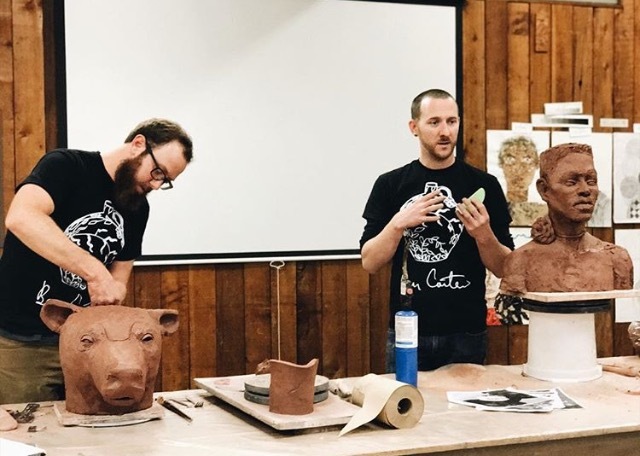 It has long been a dream of mine to give a workshop at Santa Fe Clay. I attended my first workshop (Christina A. West's) at Santa Fe Clay in 2008. One year later, I was lucky enough to assist one of my personal heroes, Esther Shimazu during here workshop at Santa Fe Clay, And now, in 2018, I will be giving my own! So come on! Lets make some naked people together. I promise we'll have a blast! Here's a nice little video that was put together to promote my show with Ben Lambert and Luke Huling, "The Figurative Condition." It was a joy to demo and exhibit with my friend, Ben Lambert.